The simplicity of a raindrop. Anatomy and physiology of life · Poetry and prose from the heart. · Self-help life truths. · Stories to ponder. 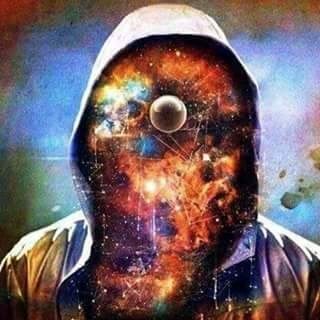 Rap-Rap!– I cannot help but wonder what lies beyond what my physical eyes can see, what is there sleeping among cosmic dreams and stardust, what is that which immerses man in ancient mysteries and dead civilizations. As I sit and ponder about life and my origins, the human faces seem so dim and the emotions so intense in my rushing mind, the alien worlds appear so distant yet so close to me; and I can really see entire galaxies in a raindrop, I can feel the calm and affection taking me over as I observe through my windowpane. The shiny droplets emanate life, as I feel the incredible energy of the first unicellular organism appearing in the heart of an ancient water corpuscle, the energy of the baby being born and of the old man dying, and the energy of millions upon millions of stars incurring a beautiful beginning and reaching a terrible end. The mysteries of life fill my mind thus like blood fills the many miraculous passages of my veins and arteries. What does the water in a raindrop carry then if not life and all its mysteries…?? Rap-Rap!– O how many fools are there in this world of ours that confuse their minds with trivialities and nonsense?! They seek to know and understand all the mysteries of life by empty knowledge and pleasure pursuits of their society. They even search for answers to their problems from gods up in the sky and dead men. They forget about the nature of the raindrop! For it knows. Nature knows because it carries all of time and space contained inside a so-called “insignificant” water droplet, such which travels from the vapors of the highest cloud down to my very windowpane with its Rap-Rap! sound. This divine sound is the very harmony of the universe to my heavy-laden ears, and the illuminating peace of my soul connecting to it, freeing my mind from the overwhelming chaos of society and its burdens. Rap-Rap!– The cloudy skies are in deep meditation and their soundless consciousness links to mine, it speaks to my heart in no-mind and vanishes all my nagging questions, it dispels my impatient intellect and brings the understanding of meditation upon me. Yes, and I come back to myself! To the one true me I had forgotten and buried under stress and thought-forms of joy and also of misery. I connect with the cosmos as I observe this one raindrop sliding down my windowpane. And I wonder what is it most people think about when they observe what I observe–if they ever do that is… Do the Sun and the Moon ever speak about us and our impatience…?? Do they ever have doubts or become confused about their own origins and immerse themselves into questioning life…?? Or is it the very demon in man who thinks he is separated from nature and believes he is lost and alone and thus questions existence…?? Perhaps the relief from all questioning lies inside nature, indeed inside the simplicity of a raindrop. Previous Post The Pits of Greed. Next Post You are there.